The key pins within a lock are meant to correspond to a specific key. Essentially, if the key pins are changed or rearranged, the key will no longer work in conjunction with the lock. In order to properly set the key pins, you need to know what pin sizes correspond to which key depths. Decoding this information is difficult to do without a depth chart, pinning size chart, and a key decoder. A key decoder makes the amount of guess work that a locksmith will have to go through when they are determining which key pins to use. Rekeying your locks can help increase your overall sense of security. This is because it is an easy way of resetting your key control and nullifying all other keys that could have operated your lock. This is a common practice among new homeowners as soon as they move in. The reason why people do this is to prevent previous homeowners, or anyone who might have a copy of the key, from just walking into a home that is no longer theirs. It effectively seals up any loose ends that might be apparent in their security, and it gives them a fresh start of sorts. As I mentioned up above, when it comes to rekeying the lock, the main components being changed are the key pins that are housed within the lock cylinder. These key pins are extremely inexpensive, especially when they are compared to the price of new locksets. This makes rekeying an extremely cost-effective option for homeowners who would like to change some aspect of their security without breaking the bank. The most you will have to pay for is the labor cost when you call a locksmith, or the amount of time you will spend trying to get it together yourself. The process of rekeying (when handled by a professional locksmith) is very quick and easy and does not require a lot of manpower, or the use of a lot of tools. Aside from a key decoder, a catch tool, spanner and the current key for the lock being rekeyed, you only need to know how to do it. It might take much longer to do if you have never done it before, but the same can be said for anyone replacing their locks without the help of a locksmith. One limitation of the rekeying process is the fact that it gives you a limited security boost. This is not to say that it does not help at all, but you do not change out any of the other security features of your lock. Therefore, if you have a subpar lock installed and you decide to rekey the locks, you will still have a subpar lock in place. This is the reason why I classified it as a limited security upgrade. What Does It Mean To Replace A Lock? The main difference between replacing a lock and rekeying one is that you are now going to be using an entirely different (and potentially brand new) lock. Replacing a lock usually means that the entire lock body will be different. It is a much more costly process than rekeying the lock but it does have its benefits. The main reason why it is much more expensive is simply because you will have to acquire a new lockset for the door when you are replacing it. As was mentioned above, you do not need to do this when you are rekeying the lock. In order to change a lock, you will first have to determine what lock you would like to replace it with. There are several factors that should be taken into consideration when you are trying to determine which lock you want to replace your old lock with. Some of these factors include the budget you are working with, as well as the kind of preferences and features you want in your lock. For instance, if you would like to change your lock from a Euro Cylinder lock to a mortise lockset, you will not be able to use rekeying as the solution. Once you have decided on a lock, you can either pick it up yourself from your local hardware store, or purchase it from your locksmith. Much like anything else, there are apparent pros and cons that are meant to bring a semblance of balance. Installing new locks gives you the ability to actually customize your security, and this is something that many homeowners often take for granted. When I say customize in this section, I am referring to the fact that you can influence the way your locks look and feel, and also influence the way they function alongside some of the other components of your home security. If you want to install longer screws in your lock, you can. Or if you want to insert additional security pins, you can. Replacing your lock gives you a brand new security canvas to play with. If you opt to replace your locks rather than rekeying them, you have the luxury of being able to now upgrade your locks and therefore your home security. This means that you can improve upon the security measures that you already had in place. For instance, if you had a Grade 2 deadbolt installed on your door, you could not opt to upgrade your lock to a Grade 1 deadbolt by rekeying. On the flipside of things, you could also decide to ditch traditional locks and upgrade to smart locks. Whatever the case may be, you now have the option and ability to upgrade when you replace your locks. 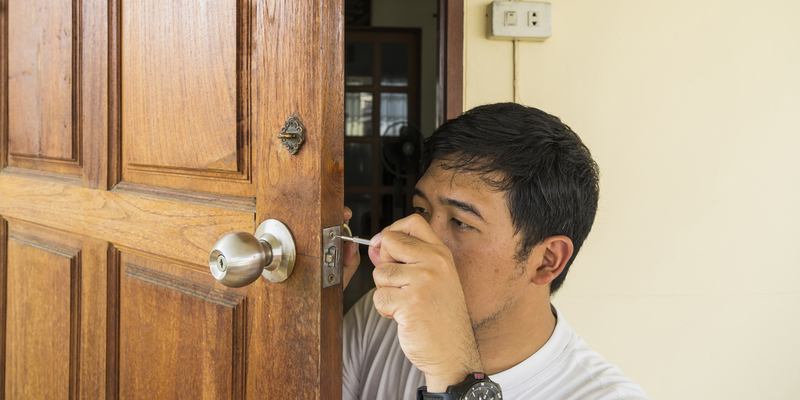 Unlike the rekeying process, replacing your locks tends to rack up a much higher cost. This is mostly because you will have to pay for the cost of labor in addition to the cost for the lockset that you want. 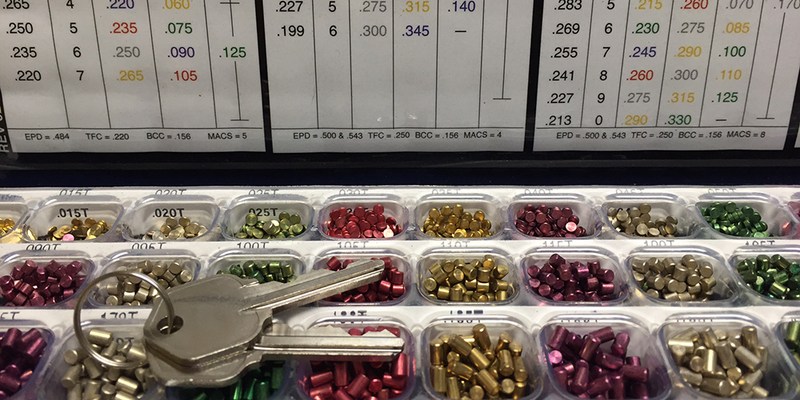 The cost of the lockset alone is much more expensive than your average key pins. To homeowners that have a very large budget, this is not much of a negative. However, if you do not want to shell out the money for replacing your lock, this would be a con. What is the best choice for your home? There is no clear cut answer to the question that has been posed, but I will attempt to answer it all the same. In order to determine which method works best for your home, you have to take into account the specific needs that you might be posed with. There are are some scenarios in which rekeying a lock is a much more suitable and affordable option than replacing a lock. The only way to determine which of these options is the better choice is to take the time to understand what you want and see what will benefit your home. Trying to figure out what you need for your home can be tricky, but I want to help you and see if I can streamline the process for you by presenting you with some guiding questions. These questions are meant to offer a helping hand and guide you to make the right decision. 1. Are you completely satisfied with the brand of your locks? If you are completely satisfied with the brand of locks that you have, and there is nothing wrong with them, then you should probably not replace these locks. Instead you should look into rekeying them if you want to add a new layer of security to your home or implement a master key system. You can still opt to replace your locks if you would like, but if you are satisfied with them, it will be a waste of money. In this instance, it will be easier and cheaper for you to rekey your locks. 2. Have you recently lost a copy of your keys? It happens to the best of us, so don’t feel bad that you might have lost your keys. However, you now need to consider the fact that your key is now compromised, which means that your home security is also compromised. If you have recently lost your keys, your cheapest option will be to rekey your locks. This is because your main problem is your keys, and your locks are probably still working fine. Ideally, you want to make sure that no one can use your lost keys to gain entry to your home. 3. Do you want to change your locks for security purposes? If you want to change your locks for security purposes, you can either rekey them or replace them. I know, I know, I said I was going to give you some definite answers – and I will, so just bear with me. When you are dealing with security, you have to narrow your focus a little further, just to ensure that you are never compromising yourself. If your goal is to increase your security measures by getting a higher grade lock, then rekeying is not the way to go. Instead, you should spend time researching different lock types and their attributes so as to choose the best lock for your home. On the flip side of things, if you simply want to tighten up any potential loose ends and keep your key control in tip top shape, then you can rekey your locks. In some cases, your budget will end up being the main determinant of whether or not you end up going through with the rekeying process or if you decide to have the locks replaced. As we have mentioned several times the costs between these two processes differs, and sometimes this might be the most important thing to a homeowner. If your security has not been compromised or if your lock has not been damaged, the low price of rekeying might be more alluring than the price of replacing an entire lockset. 5. Are you due for a lock upgrade? As much as we all love the locks that we have, it is important to always be mindful of the fact that they are not meant to last forever. Even if use a strict lock maintenance regimen on a mortise lockset, it will need to be upgraded and replaced eventually. If you would like to increase the security of your home, but you have a very old lock set, rekeying that lock will be counterproductive. In this instance, you should try to replace your lock instead. 6. Has your home been broken into recently? Unfortunately, burglaries and home invasions are not just things we see on the silver screen. There are many measures that homeowners can take to better prepare themselves to stand up to burglars, but sometimes the most important action you will take happens after you have been a victim of burglary. The way in which you bounce back and rally says a lot about you. If your home has been broken into recently, you should take the time to assess the manner in which the burglar was able to get in. This is important because it will help you determine whether you should replace or rekey your locks. If they broke in through a side window, then maybe you should try and repair your window locks and leave your door locks intact. However, if they broke in by damaging your locks or circumventing them, then you should replace your locks rather than rekeying them. 7. 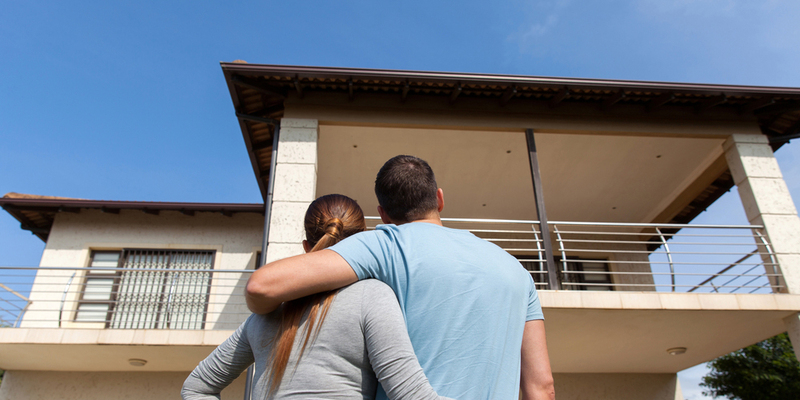 Are you moving into a new home? New homeowners should always make it a point not to take the pre-installed security measures of their new homes at face value (unless it’s Fort Knox). I always believe that there is room for change, whether this be reduction by means of taking away unnecessary things, or increasing the measures that are already in place. Furthermore, when you move into a new home, you are not exactly aware of who might have a copy of a spare key, so you want to make sure your home is not vulnerable. In these instances, I would advise that you have all the locks within your new home rekeyed. However, if you believe that you have to upgrade these locks, then you should definitely replace them instead. There is nothing quite like a good old fashioned debate to help people figure out what they should choose. I hope you haven’t come out of reading this thinking that one of these methods is superior to the other, then I implore you to read through this again and reassess your stance. Each of these methods is a great solution, depending on what you need solved. As always, take the time to understand what it is you need, and then walk through the points listed above so that you can see which service will work best for your home.